We’ve all been told that two things in life are guaranteed – death and taxes. Maybe it’s time to add a third, the rising costs of long-term care. Premiums for long-term care have risen sharply in recent years as more insurers have realized they haven’t collected enough in premiums to cover expected future benefit payments. To add insult to injury, many insurers are leaving the long-term care market. According to Genworth Financial’s 2015 report on long-term care costs, the national median annual cost for long-term care ranges from $44,000 to $91,250. The costs vary widely depending on where you live and the type of services needed, and tend to be higher in the Northeast and lower in the Midwest. The current national average premium for long-term care insurance is approximately $2,000 for a 55-year-old male in good health. The premiums for women tend to be higher because women live longer. Premiums rise sharply the older you get, and if you have health issues, expect to pay considerably more. So, should you buy long-term care insurance? Unfortunately, there is no right or wrong answer that fits all of us; it really comes down to your individual situation. Is there a history of dementia or Alzheimer’s in your family? Will you have sufficient assets available to you in your retirement years to self-insure, should the need for long-term care arise? According to Jamie Hopkins, professor of the Retirement Income Plan at the American College, 70% of retirees will eventually need long-term care with two-thirds of that care coming from family members while one-third will wind up in a nursing home or assisted living facility. The average stay in an assisted living facility is 2.2 years for men and 3.7 years for women. Therefore, it probably doesn’t make much sense to plan on having to pay for a ten-year stay in a nursing home. There are always exceptions of course, but you have to weigh the potential need for care versus paying the hefty premiums each year for insurance you may never use. 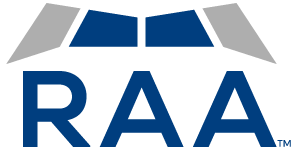 RAA has retained the services of Allen Hamm & Associates, one of the nation’s leading consulting firms on long-term care insurance. If you would like to discuss whether long-term care insurance makes sense for you and your family, please contact us at 800-321-9123 and we’ll arrange a session with Allen to review your options. There is no cost or obligation to you, it is a service we provide free to our clients and those who are considering becoming a client. ARE YOU READY TO CREATE A LONG-TERM CARE PLAN TO PROTECT YOUR FAMILY’S FINANCIAL FUTURE? Give us a call at 800-321-9123 to request a review session or a copy of How to Plan for Long-Term Care.